Basic design principles, how do you want to move around the space? Deciding how you want to move around your garden is one of the defining moments in its creation. The very act of walking around the space on paper has this amazing ability to make you start thinking about the design in a three dimentional way. I think this is probably because you know what your garden looks and feels like before you start the design process so you are familiar with it already even if it doesn’t really inspire you. On Wednesday we looked at how to start, how to ignore the boundaries and approach the garden from the inside out. Once you’ve allocated a space for the elements you want to include; the terrace, lawn, utility area etc you’ll be ready to start thinking about how you’re going to get from one element to the other. The most effective way to do this is to walk round the garden on paper. For example, you might want to walk from the back door to the terrace, from the back door round to the front garden or from the front garden round the side of the house to the shed at the bottom of the garden. Take your pencil and draw these routes on your plan, it doesn’t matter how messy it looks, it’s the process of doing it that’s really important. Notice how you start thinking about being in the garden – it’s a powerful moment when you start to imagine your new garden. Have you ever noticed in public places, supermarket car parks especially, that often the flowerbeds have bald patches where people have walked across them? That’s what happens when the most direct route is blocked off and you’re made to go round the houses (or cars!). I’m not suggesting that you’ll be tempted to walk across your flowerbeds at home, but if you don’t consider how you might want to get from A to B there’ll certainly be times when you feel tempted and I’m willing to take a bet that your children won’t have the same love for your plants as you! Once you’ve mapped out how you want to move around the garden you’ll have the routes marked out that you want to take and this is where you’ll need to put your pathways. 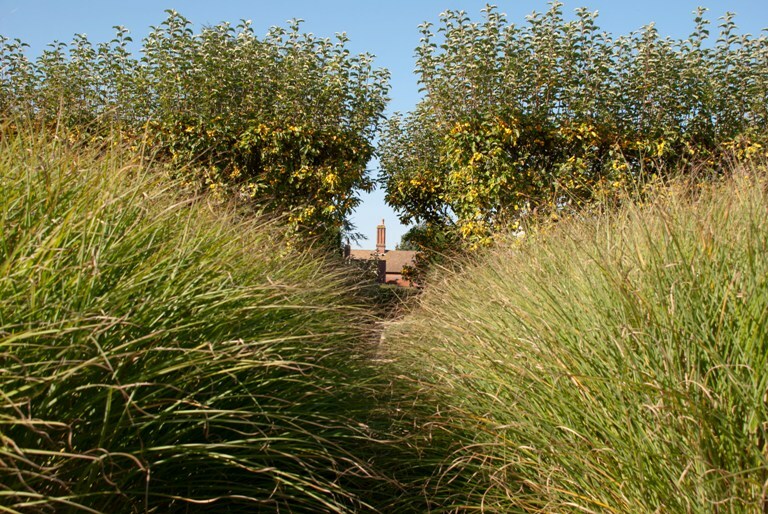 Although it’s important to consider how the pathways attach to each garden element, you may want to be able to amble through lush planting before you get to your secret terrace for example, think of them quite simply as the linking spaces between the garden elements you spend time in….the creation of the “mood” can come later.